Welcome back everyone to Week 2 of Donna's Birds & Nests challenge. We are back with the Funkie side of our team who are rolling out the inspiration for you to join this challenge. Thanks so much to everyone who has already played along with us. And the rest of you, we hope you will be linking up soon. Don't forget, there are two prizes - a winner's badge for our team's Funkie Favorite and also a randomly drawn winner of a $25 gift certificate to shop at The Funkie Junkie Boutique! There are still 2 more weeks to play along. Please read all the details below in our Week One Post. Can't wait to see what you make! Hello everyone and welcome to another fabulous Frilly and Funkie challenge!! Donna here to give you the details and share with you the fantastic projects that my design teamies created! 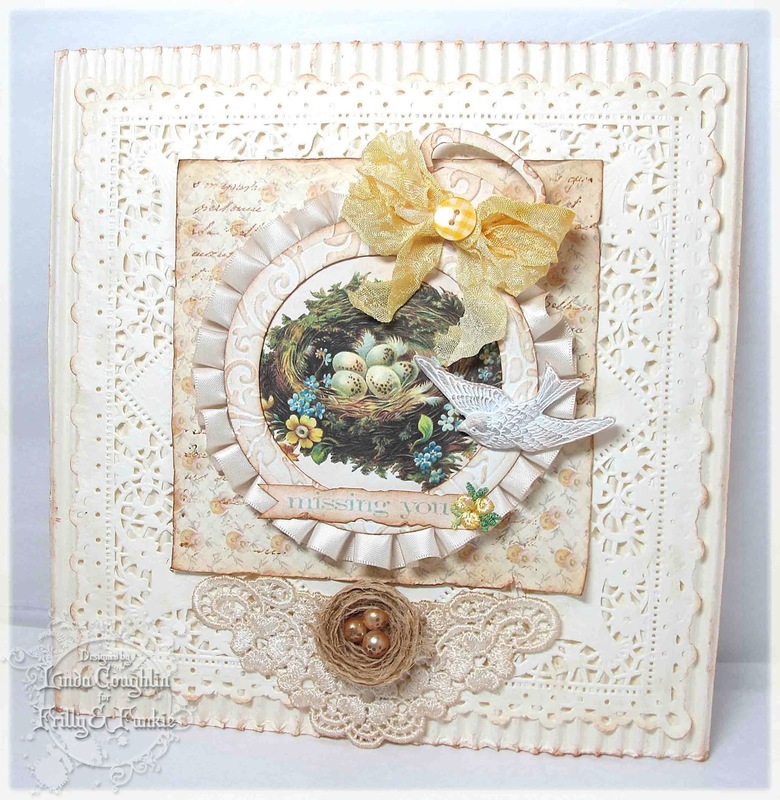 This week's challenge is Birds & Nests. Summer is the time when many birds nest. To me, there is something so simple and pure about a bird's nest especially one that contains eggs waiting to hatch! 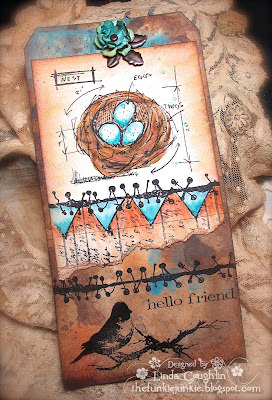 So let's pay homage to those hardworking mama, and papa, birds by including both a bird and nest image somewhere in your project. Here are the projects presented by the Frilly side of the team. Don't forget to stop by their individual blogs to get all the details on their beautiful creations! Whatever your vintage style, be it Frilly or Funkie please feel free to join in the fun and enter a piece into this challenge. . You may upload your project at any time. If using a public forum, please use keyword F&F. Please be sure to provide a link back to our challenge in your post. Please please please be sure to turn off your Word Verification so our design team can leave comments on your blogs. And don't forget, you can only play in 4 other challenges besides ours. Love, Love, LOVE all of these! Just beautiful! The pearl bird's nests are to die for!!! Delicious challenge theme, and what wonderful inspiration! Frilly and Funkie gals just rock! What a great collection and so much inspiration! Gorgeous DT pieces, as always! It's always an inspiration to visit here!